Growing Apples in the Tropics? Can Apples Really be Grown in the Tropics? It is a shock to many people that yes, apples can be grown in a tropical climate, and have been grown by the millions for many years. 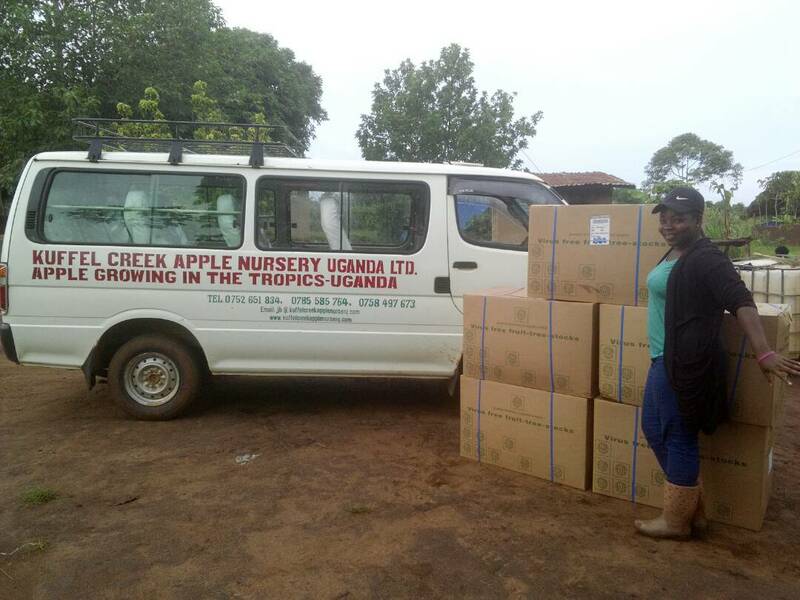 We used to quote other research to support this, but we operate the most organized apple nursery in tropic Africa, and over the last six years have planted tens of thousands of apple trees in Uganda, Zambia, Kenya, Rwanda, Ghana, Tanzania, and D. R. Congo. The first of these orchards are starting to come into serious production, with very happy clients planning on expanding their orchards every year. Let me be quite clear that farming apples in even the best of climates is difficult compared to other tropical fruits, and growing them in the tropics requires a lot of trained hand labor and attention to detail. One of the limiting factors is not temperature, but excessive rainfall. Heavy rains during blossoming prevents pollinating insects from flying, knocks the flower petals and young fruitlets off the tree, and leads to problems with foliar disease such as powdery mildew and scab. So when people ask if apples can be grown in their area, I suggest to plant a test plot of 10-20 varieties to see how they perform. Soil and rainfall conditions can vary widely in a small area, and so all the variables cannot be fully known until you stick some trees in the ground and see what happens. Do not believe anybody who tells you it cannot be done unless they have actually tried it (I used to believe them for years, and they were wrong, very wrong). However do realize that any time you are planting a new crop in an area it should be considered entirely speculative, and you should be prepared to absorb a 100% loss. Often this happens several times until the right methodology is found that fits your unique set of challenges and growing conditions. There is always some pest, disease, or soil deficiency to deal with; even growers in cold climates suffer losses and very often have years when they have a poor or no harvest. The cold winter may kill the trees to the ground, starving mice and rabbits chew the bark off the trunk under the snow, the blossoms freeze in late spring frosts, caterpillars eat all the leaves, deer eat the apples, hornets eat the apples and strip the bark off. 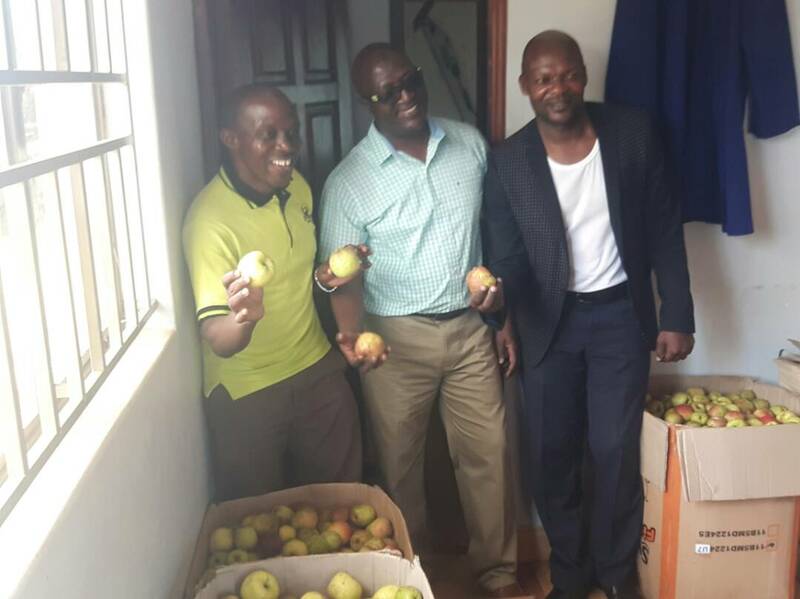 As these cold-climate growers watch their trees fall over from an ice storm that coats every twig with 2 cm of ice, they may longingly look at your tropic apple orchard and proclaim you to be the wiser grower and sell their orchard to come farm in Africa! 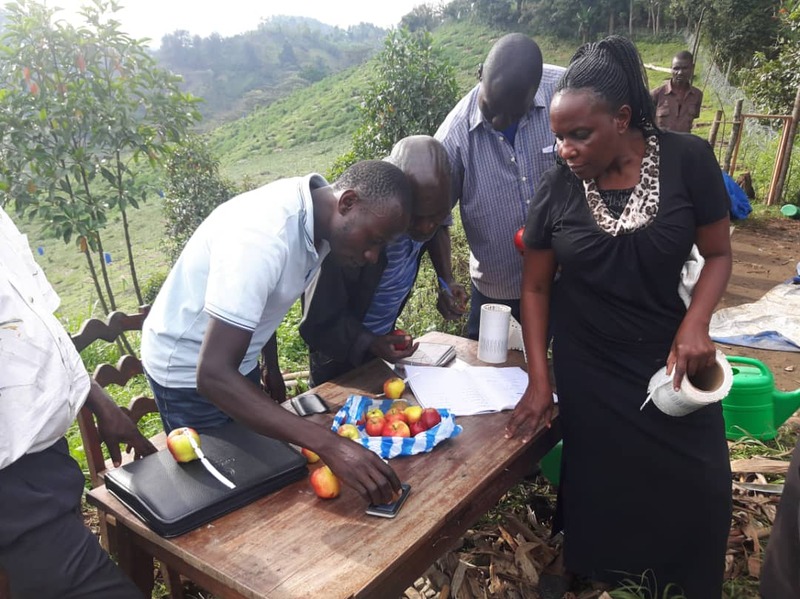 I should add that apples are not the only crop our clients are growing; they are discovering that due to the expense of importing material, there is an insatiable demand for apple nursery material such as rootstocks, scionwood, and grafted trees. Indeed, the nursery part of the farm may earn more money than the fruiting part of the farm. For that matter, if you're growing clonal rootstocks, we'd like to buy from you. So come and explore the world of tropic apple growing; we're here to help you every step of the way.